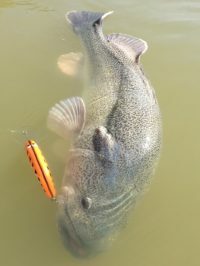 Exclusive colours to Codmac the 140 Python comes in a crash diving 10m+ model allowing it to reach the deeper recesses where large Murray cod will often hold. It also comes in a standard 7m+ diver that covers the majority of the rivers course. Between the two models you will have most big cod locations covered.